We are super excited to present a behind-the-scenes look at a new area of Sialia which will be part of the next SNOW update (0.6.2), coming very soon. 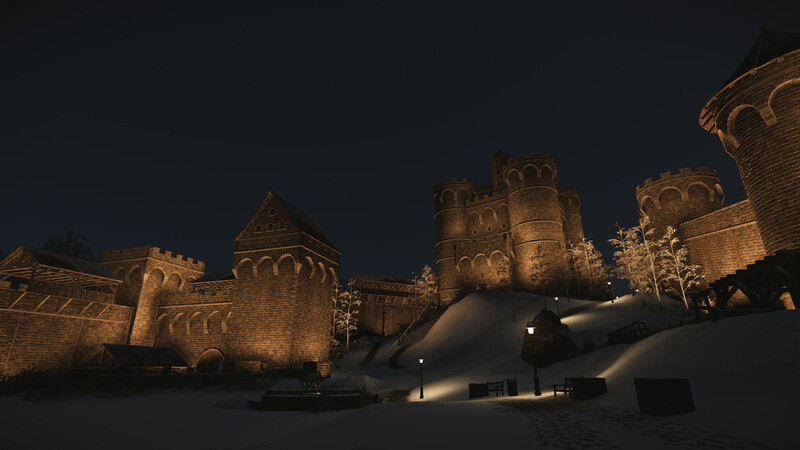 When we launched SNOW on Early Access, Sialia had an old medieval castle located on the western face of the mountain. The castle was made by an intern very early on during the game's development, well before our gameplay had been polished. Even though the original castle had some fun and challenging gameplay, we always intended to return to it and give it the love it deserved - to truly unleash its potential. So, here are the results. Welcome to Whitehart Castle! We asked Jake, the Artist tasked with designing and building the castle, to share some insights into the development of it. Here's what Jake had to say. What makes this area interesting? The Castle area is interesting and unique, because it's so different to the other man-made areas currently in Sialia. 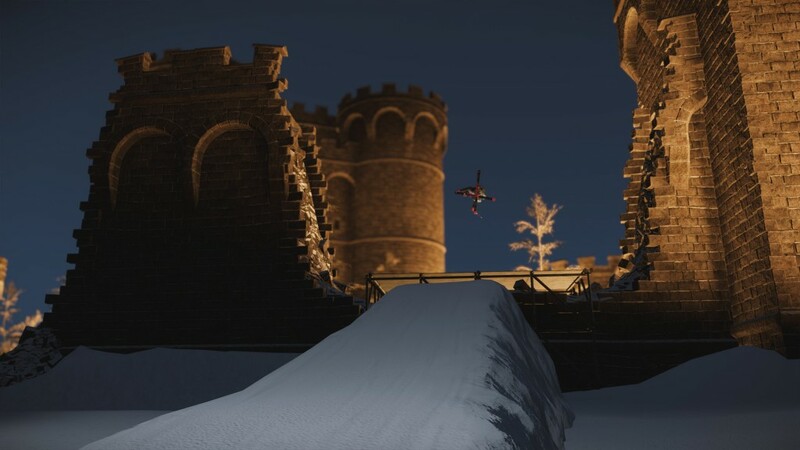 It’s definitely not the typical "urban" feature you’d find yourself skiing in. At times it'll feel almost claustrophobic due to it's tall crenelated walls, but then will open up into large open areas. Due to this, we had to think a lot beforehand in order to make sure it had lots of fun gameplay elements! What inspiration / references did you use to build the area? For the castle area we used a huge folder with hundreds of real life reference photos, but surprisingly some of the most helpful references came from model makers, because they break down the castle construction in a way that fits incredibly well with the modular way that structures are made in SNOW. Sialia Castle features a large outer wall, which has been damaged in some places. Inside, there is a large keep structure, a training ground, and a few smaller service buildings. Outside the front gate is a restored medieval settlement. What is your favourite riding spot in the area? My favourite part of the Castle area is the rear entrance, behind the keep. This area features a picturesque seating area, but more importantly, has two exits that push the player toward the main gameplay paths! Were there any challenges during the development? The biggest challenge for this area was making art assets that were unique, but still versatile enough to be used for lots of different gameplay situations! In the end we ended up having over 90 components that make up the main structural components of the castle.